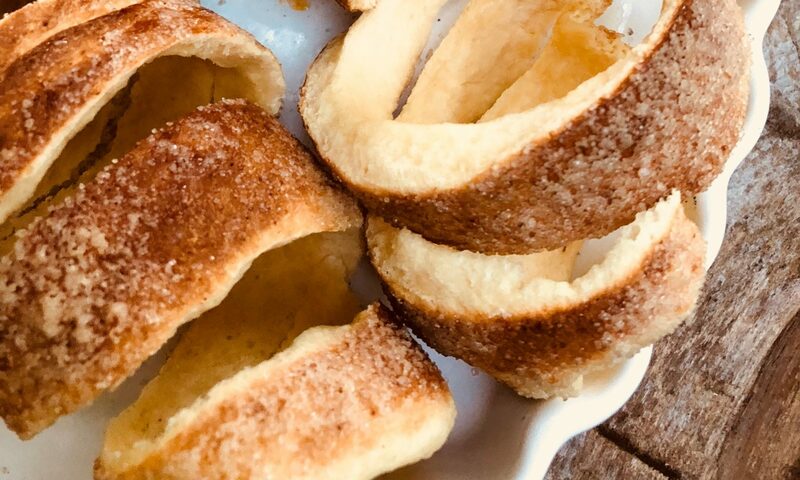 This recipe was sent by one of our Czech readers, Thank you Jana! this looks delicious and I can’t wait to try it. I actually remember when I went to Prague, Czech Republic I tasted this and I absolutely loved it. 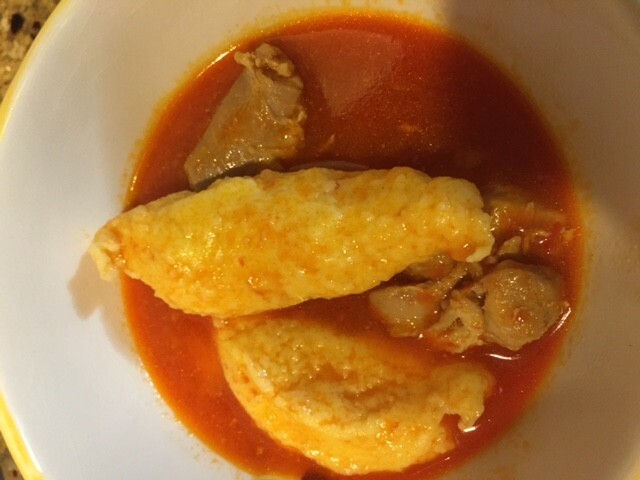 Traditionally the Chicken Paprikash is served with bread dumplings so both recipes are provided below. Among many other worldwide known products, Czech Republic is famous for its beer. To name only one brand – Pilsner Urquell (Plzeňský Prazdroj) is the leading brewery in Central and Eastern Europe. 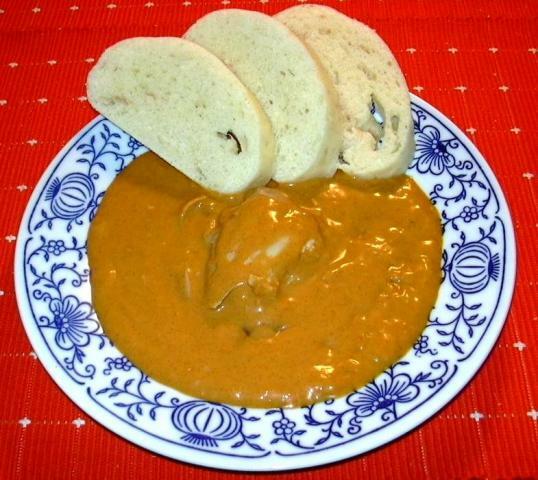 To complement the beer, the Czech cuisine is centered around meat based dishes, sauerkraut and dumplings. 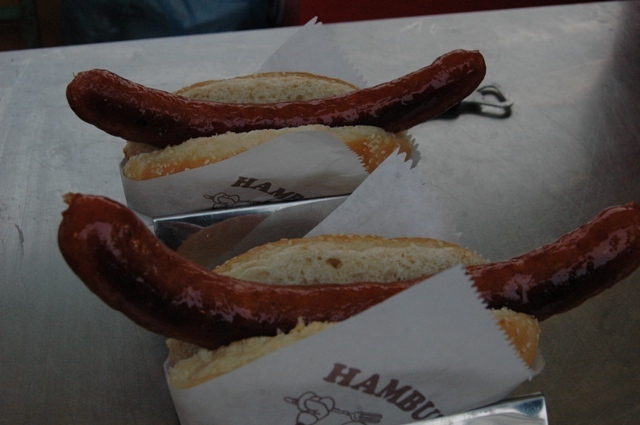 One food item that is still fresh in my memory is the delicious street food, especially the sausage (klobása). The smell of grilled sausage will lead you through the Wenceslas Square which is famous for the sausage stands open all day long.The different kinds of delicious sausage (klobása) will definitely make you crave for another trip to Prague.